Nissan’s marketing manager needs a raise. Between its brilliant trolls of Ferrari, countless attention-grabbing concepts, and steady commitment to boundary-pushing technological showcases, the Japanese automaker clearly knows how to keep its image fresh in the minds of the motoring world. The latest example of that? Project Titan. 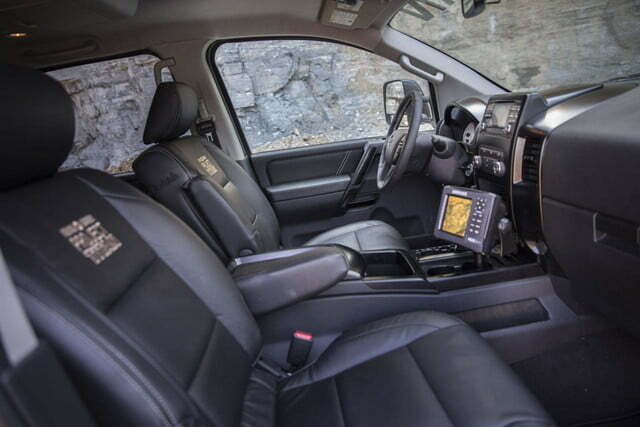 Project Titan directly involves fans in the production process of a one-off Nissan Titan by allowing them to vote on 10 different areas of customization. 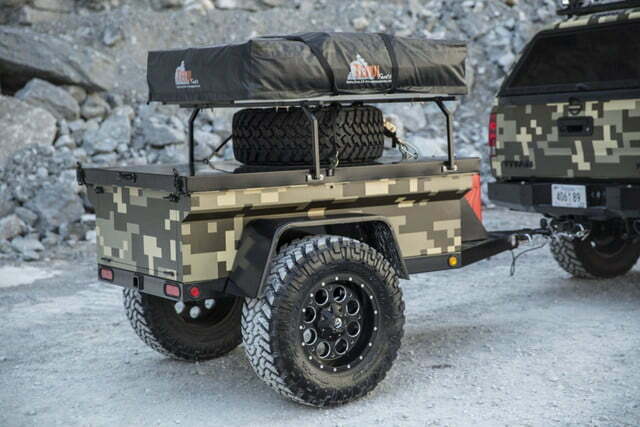 The voting process has ended, but the chosen areas included suspension, tires, truck beds, interior, bumper, exhaust, winches, lights, wraps, and wheels. 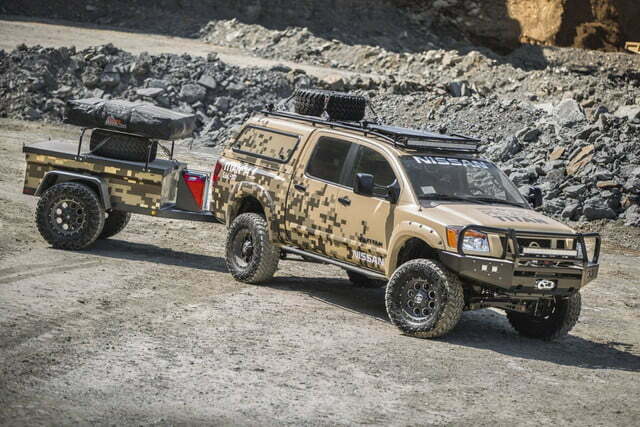 What Nissan’s fans have indirectly created is a military-style off-roading machine, with enough gadgets and gizmos to navigate any obstacle placed before it. 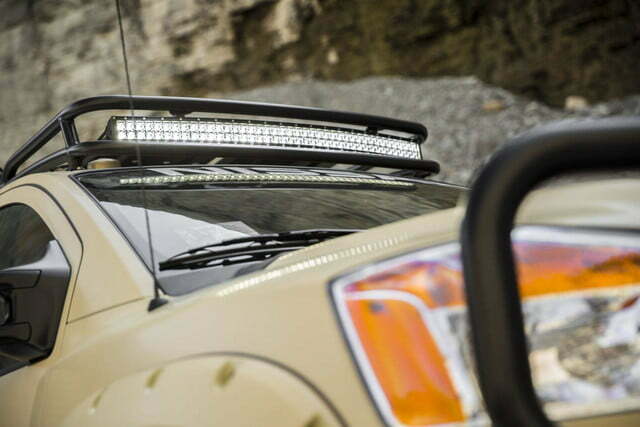 The exterior of the vehicle has been fitted with an ARB Deluxe Bull Bar, a one-piece steel bumper replacement that protects the vehicle from animal strikes. 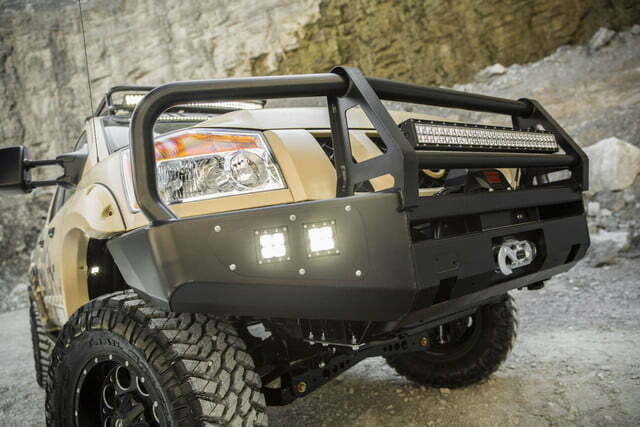 The Bull Bar integrates a recovery winch and the truck rides on beefy 35-inch Grappler tires. 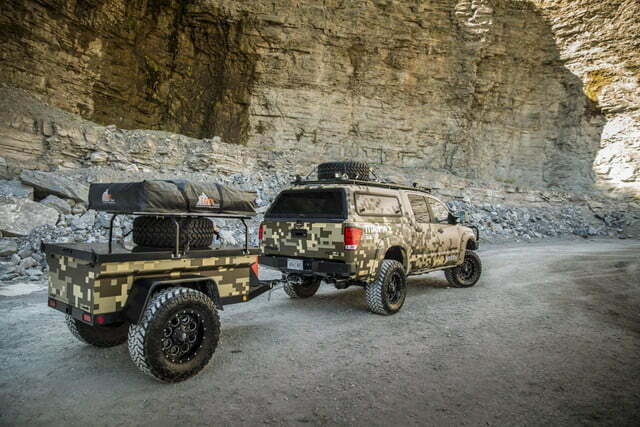 High articulation PRG suspension gives those big wheels room to travel over the rough Alaskan terrain, and a “Recon Titan” camouflage wrap dresses everything up. 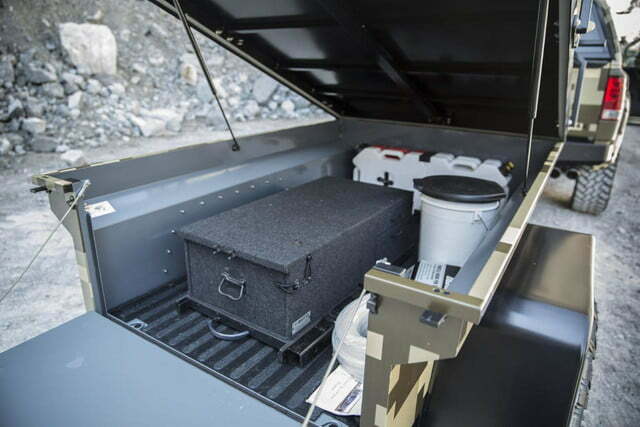 The pickup is also equipped with an all-terrain trailer, one that holds a camp-style kitchen, water/fuel storage, a tent, and of course, a spare tire. 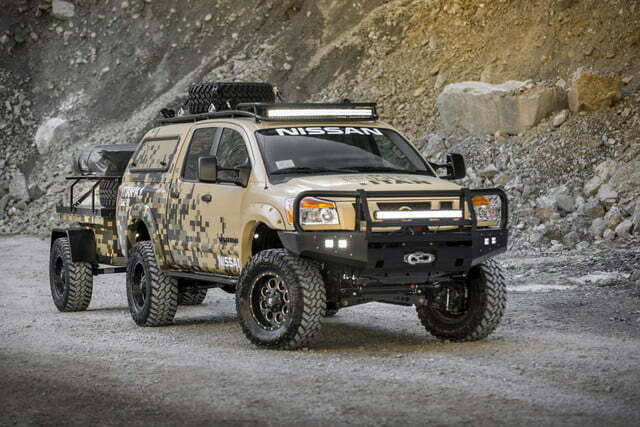 Piloting the beefy Titan will be two alumni from the Wounded Warrior Project. 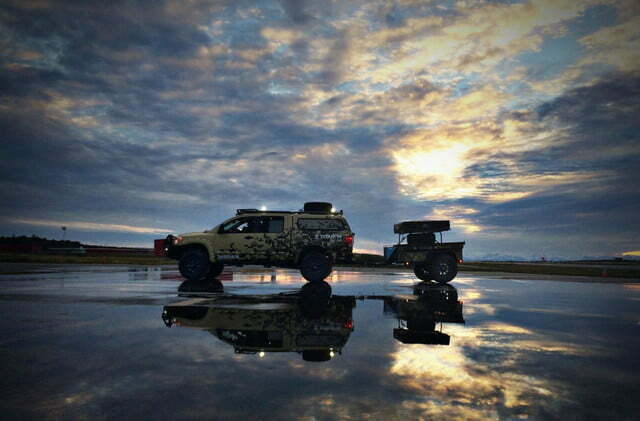 Nissan will document the trek with a YouTube series this fall. 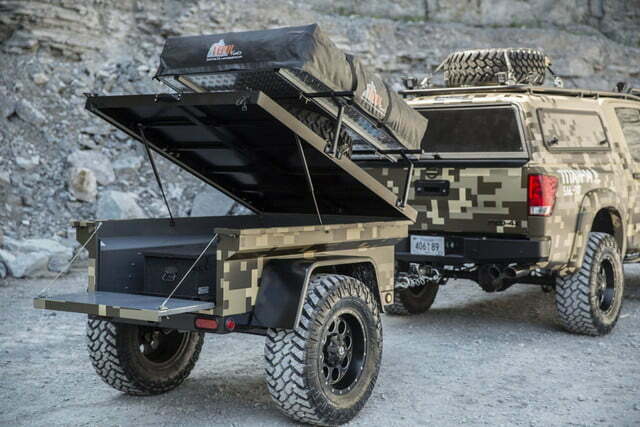 This isn’t the first time Nissan has leaned on crowdsourcing to create a unique project and boost company presence. In 2012, the company debuted another crowdsourced one-off: Project 370Z. Instead of a rugged Alaskan adventure, the 370Z was built with the track in mind. The sporty coupe was enhanced with a Greddy twin turbo Kit, high-flow exhaust, performance engine management system, and an array of suspension upgrades. In the end, the 370Z produced over 500 horsepower. 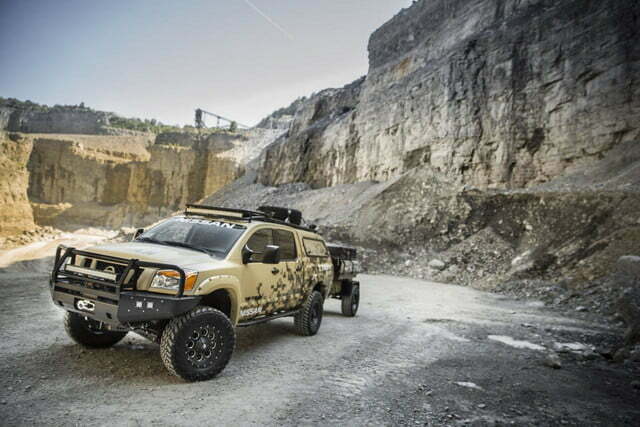 Follow along with Project Titan’s adventure at the Nissan Trucks Facebook page.